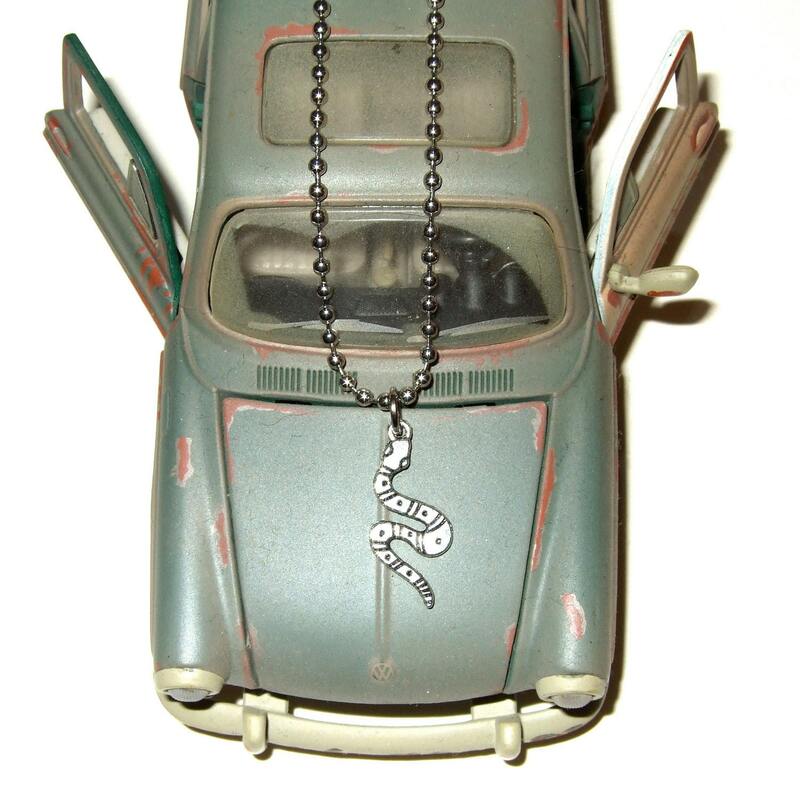 Men's snake necklace on a heavy duty steel ball chain… Not that I'm one to generalise, and ladies could certainly wear this necklace, but this range of unembellished charm necklaces is also suitable for the gents. 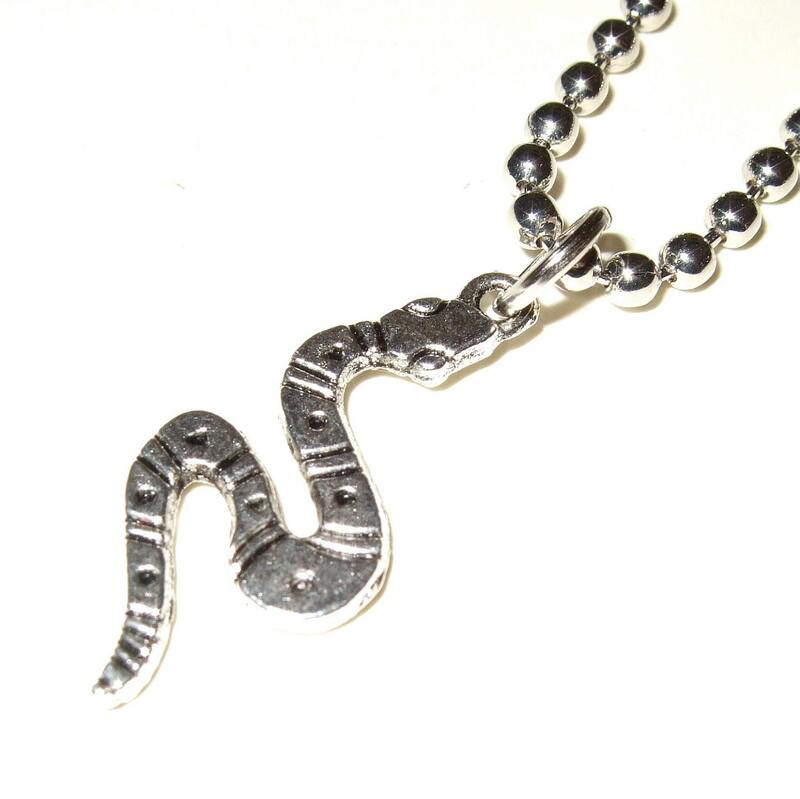 The Tibetan silver snake charm is around 1"/2.5cm tall. 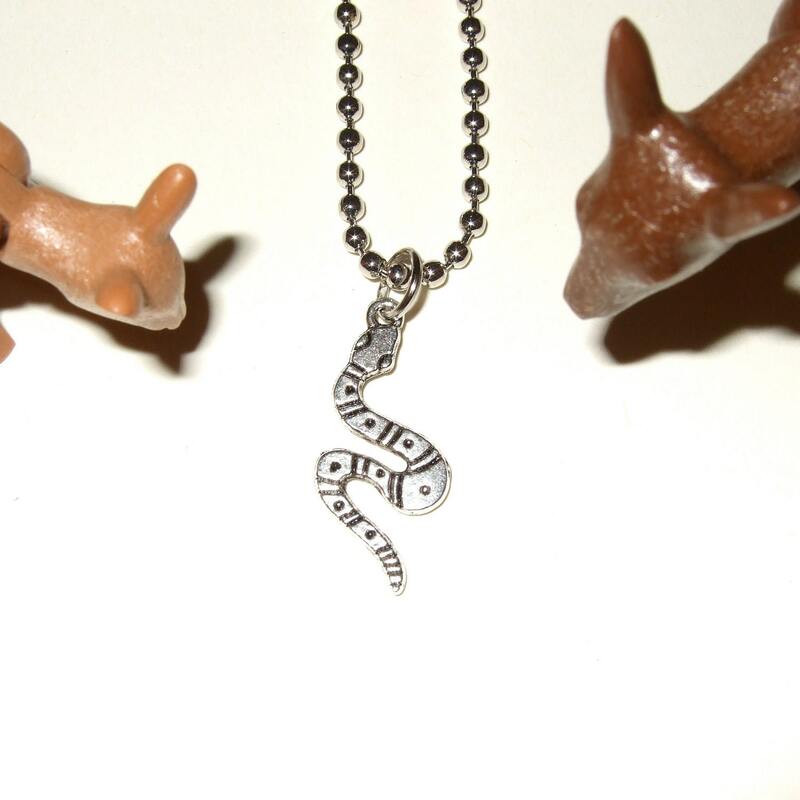 Please choose your preferred necklace length from the drop-down menu. If you would like a length not shown here, please contact me - all chains are cut to size so any length is possible.